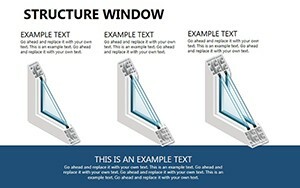 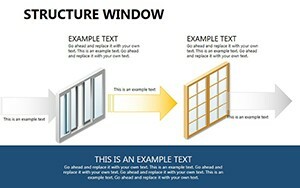 Structure Window PowerPoint diagrams consider, some of which they are composed, and which functions are performed. 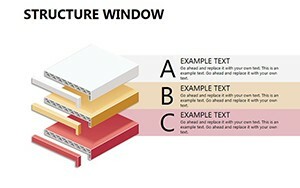 Plastic windows are made up of the following main parts: the frame, windows, shutters, impost, accessories, glazing beads, window sills and slopes. 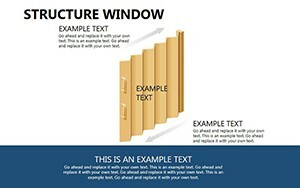 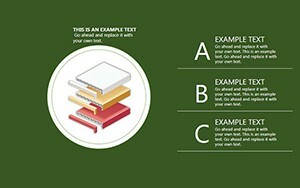 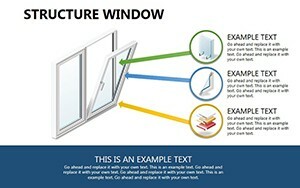 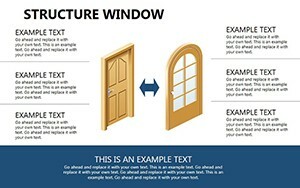 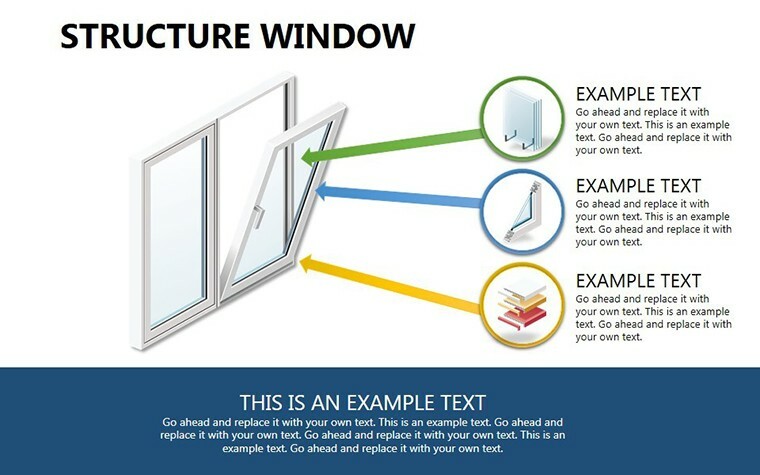 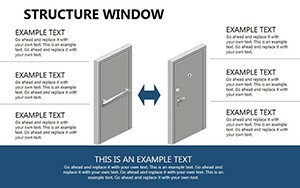 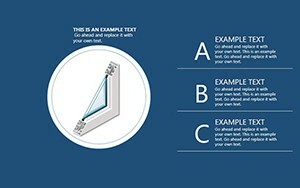 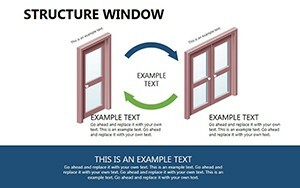 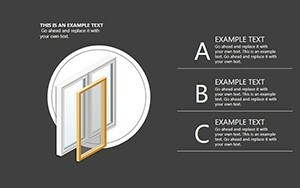 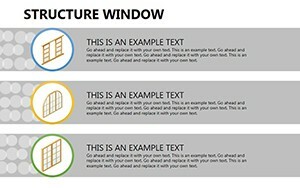 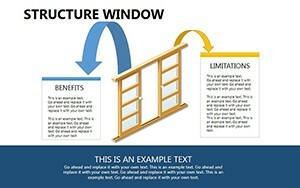 Download PowerPoint Structure Window diagrams for presentations.